This is by far one of my favorite recipes so far in the instant pot. 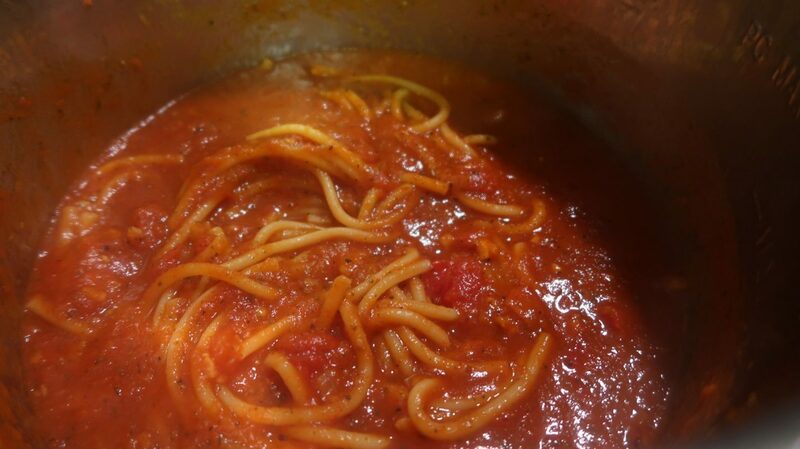 I’ll have to come back with the full version because I made this recipe vegan because I was on the Daniel Fast but the meat sauce version is just as delicious and more hearty. I love how flavorful this recipe is and of course how convenient it is to put everything in the instant pot all together and forget about it. 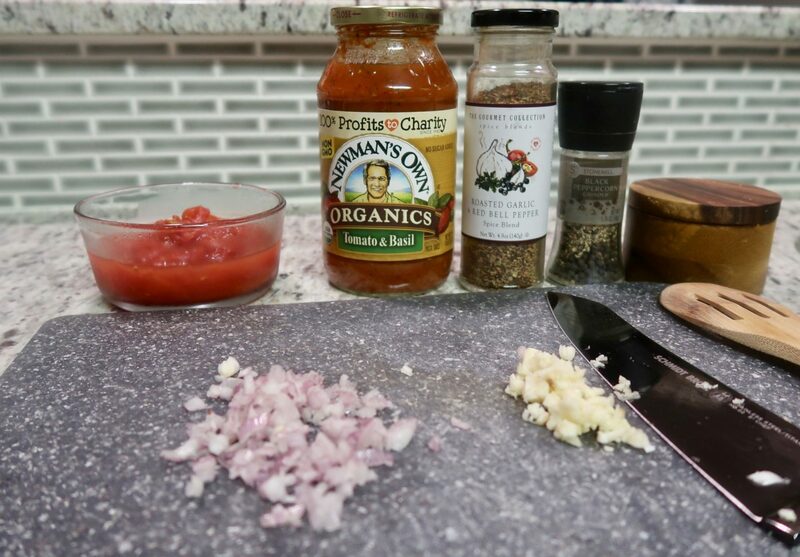 If you are looking to get dinner on the table fast and in a hurry this is for you. 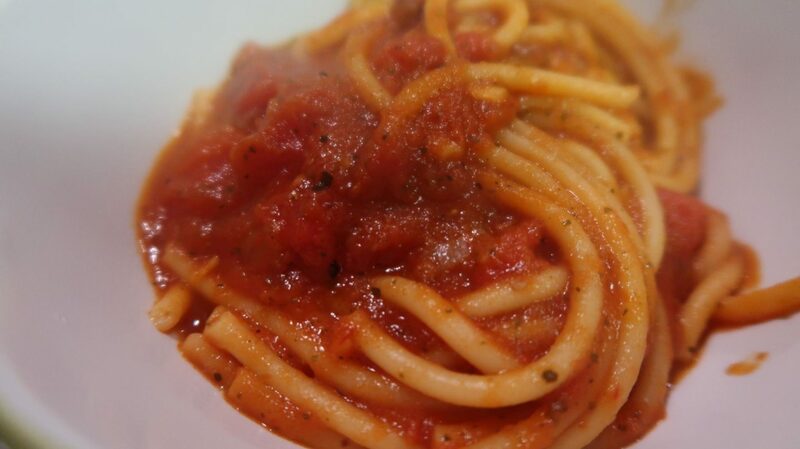 This dish come together in about 15 minutes, does it get any faster than that? No. 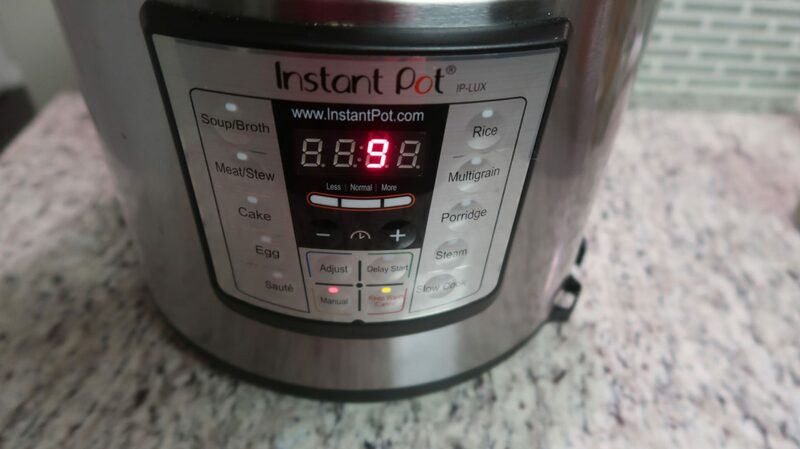 The instant pot is a rockstar and will be your favorite tool in the kitchen once you get one. Press saute on the Instant Pot. 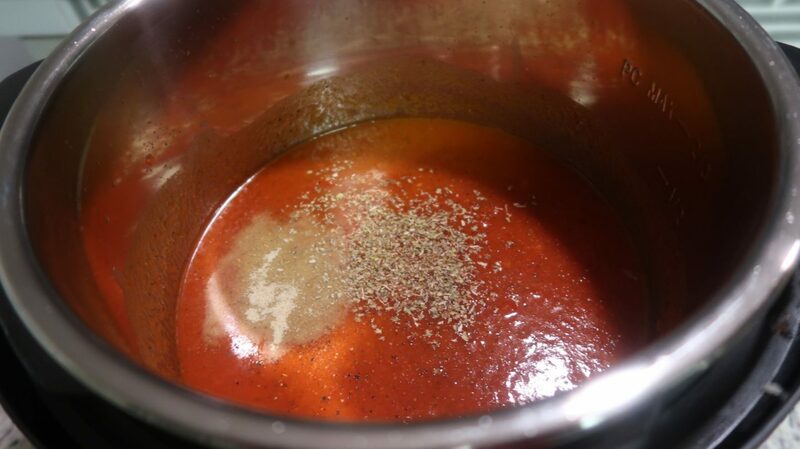 When hot, add the onions, garlic and cook until softened, 3 to 4 minutes. 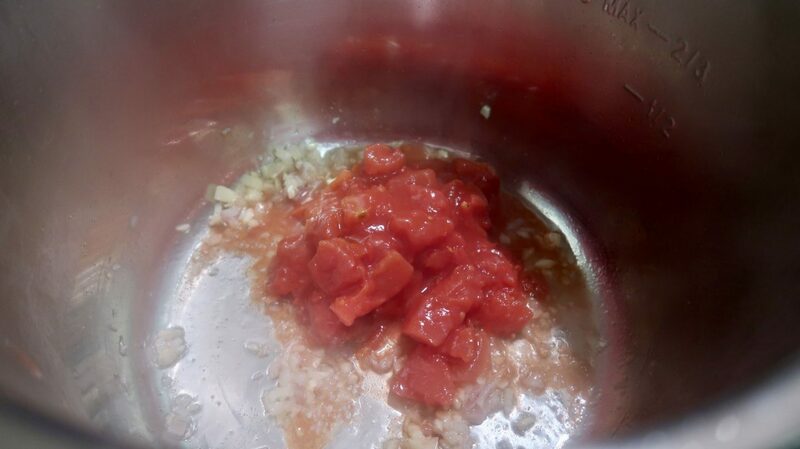 Next, add diced tomatoes and stir. 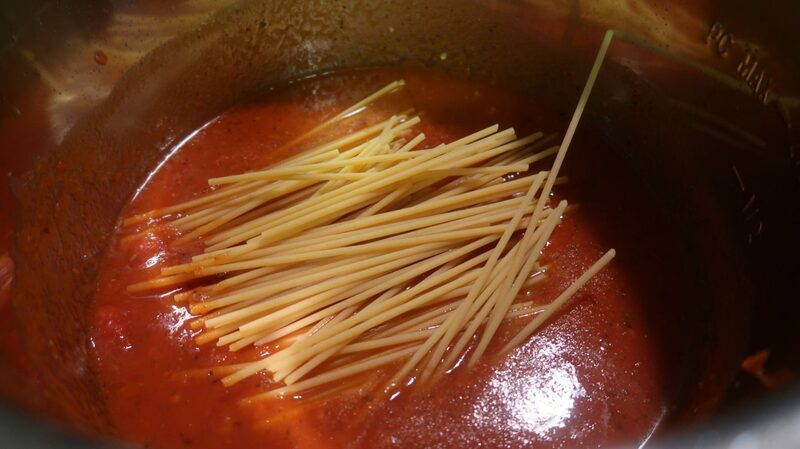 Add the tomato sauce, water and spaghetti (broken in half), making sure the liquid covers everything without stirring. Quick release so the pasta doesn’t continue cooking, and serve topped with fresh herbs. Recipe by Skinnytaste | Slightly modified to my taste.